Jerry says that participating in Signs of the Seasons has made him more likely to discuss phenology and the local impacts of a changing climate with his friends and family. 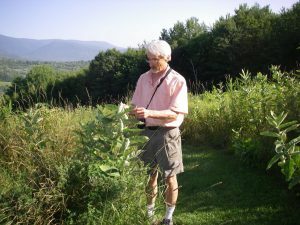 “I kind of feel like I’ve become a phenology disciple.” He starts by asking if someone knows what phenology means and then leads into how it can inform general understandings of nature as well as serve as a way to track climate change. Thank you to Jerry for all of your hard work and dedication to Signs of the Seasons!